who have recourse to thee. The response to the Rosary Year was marvellous around the world. Lisbon concluded with an awesome Living Rosary on the 18th of October where thousands joined the Cardinal Patriarch in the presence of the image of Our Lady of Fatima which had been taken to Lisbon from the Capelinha for the occasion. With and through Mary Immaculate we praise and thank God for the graces of this Year, above all for the grace of humble conversion for so many poor sinners. You and all your needs are remembered in our prayers – especially our Christmas Novena. May the Holy Family of Naza-reth bless your family at this Christmas and throughout the New Year! Open, indeed, open wide the doors to Christ! Before celebrating a significant life event or anniversary it is customary to spend some time in prayer. Last October began the 25th year of the Pontificate of Pope John Paul II. He proclaimed a year of prayer and he chose his ‘favorite prayer’ – the Holy Rosary. He said he wished that through the renewal of this contemplative prayer in the lives of Catholics everywhere, the Church might realize a great “harvest of holiness.” Without doubt, from the most humble homes to the palaces of kings, every Ave has sown the seeds of holiness throughout the vast field of our world during this year. Everyone knows that Pope John Paul II is a preacher and teacher par excellence. What is his secret? St. Louis de Montfort would reply: “His secret is MARY!” Every discourse, homily, prayer, audience and encounter is closed with some reference or invocation to Mary Most Holy. She is ever present in his preaching and crowns all his efforts with graced success. We envision that this Year of the Rosary is a gift of the Holy Father to the Immaculata, who has embraced him so tenderly and guided his heart, his lips and his pen in these 25 years as the ‘sweet Vicar of Christ on earth’. This Year of prayer, contemplating the face of Christ with Mary, is as a mystical crown of pure love for Her, who so humbly bowed to the Will of the Father at the Annunciation-Incarnation. Statistics state that the distance travelled by the Holy Father on his apostolic journeys is equivalent to 11 trips around the world. He has thus literally encircled (many times!) the planet earth with the Gospel on his lips and the Rosary in his hand! Everywhere he goes he entrusts his people to the maternal protection of the Most Holy Virgin. He has proven true the words of the II Vatican Council on MARY: “When she is the subject of preaching and veneration She prompts the faithful to come to her Son, to His sacrifice and to the love of the Father” (LG 8:65). With MARY, the preacher is assured, that what his lips direct to the mind will also surely find a home in the heart. Pope John Paul II discovered this ‘secret of MARY’ as a young seminarian, working in a factory in wartime Poland. It is a ‘secret’ he proclaims to the whole world and especially to those whose mission it is to “draw all men to CHRIST”. In his Apostolic Letter on the Rosary, Pope John Paul II speaks more than once of the great apostle of the Rosary, Blessed Bartolo Longo, a lawyer and lay Dominican. As a small boy his mother formed him in devotion to Our Lady and love for the Holy Rosary. But while studying Law at the University of Naples he became influenced by the occult practices so prevalent at the time in Italian society and eventually became a priest of Satan. With his health nearly destroyed he met his friend and professor Vincent Pepe a faithful Catholic layman, who sharply rebuked him for his allegiance to Satan and introduced young Bartolo to Fr. 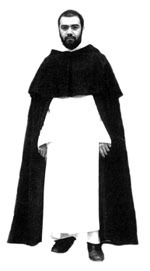 Alberto Radente, OP a learned and holy Dominican Friar. Fr. Alberto joined fasting and prayer to the instruction he gave his young penitent and prepared him to receive the sacraments once again. Eventually, Bartolo, now a lay Dominican and bent on repairing his past, visited a séance for the last time. Holding a medal of Our Lady aloft he cried aloud: “I renounce spiritism because it is nothing but a maze of error and falsehood.” He then began to boldly proclaim his faith in Christ. While attending to legal business in the city of Pompei he was disheartened by the spiritual and material deprivation he found among the people. Bartolo began catechizing them and establishing programs to assist them materially. In that place he heard a gentle voice from heaven: “If you seek salvation, propagate the Rosary. He who spreads the Rosary will be saved.” Like St. Dominic, and so many other Dominicans, he found in the Rosary a most efficacious resource for evangelization. He vowed to Our Lady: “I shall not depart from this earth without first displaying before you, the triumph of your Rosary.” With permission from the Bishop he began to build a shrine in honor of Our Lady of the Rosary. Through Fr. Radente, OP he obtained a not very handsome picture of the Madonna but one that would become known world-wide as the miraculous image of Our Lady of the Rosary of Pompei. On 30th August Prince Ermias, grandson of the former Emperor of Ethiopia, Haile Selassie visited Fatima. 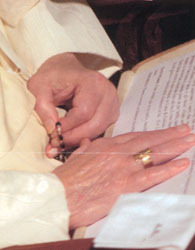 In the presence of the Bishop of Leiria-Fatima he made the following Act of Consecration. All will appreciate this loving tribute to and appeal for the Message of Fatima, a message of Peace. “Today it is a great joy for me to be here in the Kingdom of Santa Maria, in this land known as a land of Peace, the Cove of Peace – Fatima! This is the joy of Fatima – the Oasis of Peace – the fountain of Peace for the family, for countries for the world. To be able to share its gift, its spirituality, and the power of its message with the whole world – is an honor that has been given to each and every one of us, by our Holy Mother, irregardless of race or creed. We gather here today in this place and feel a supernatural motherly comfort in the midst of a deeply troubled world. Everywhere we look today, we are confronted with a new outbreak of war, or famine, a new and brutal cycle of oppression and retaliation, a new horror in the newspaper’s front-page headlines. In my own country, we have just fought a war in which thousands of lives were lost over a border conflict which even now is set to re-ignite at a moment’s notice. This, when Ethiopia stands on the brink of a devastating famine for the third time in thirty years. I believe in the power of the Blessed Virgin at Fátima and entrust to Her these situations asking you also my dear brothers to pray for these intentions. It is only natural, to turn to our faith in times of tragedy, to ask higher powers for guidance. But this should not be the case for faithful Christians, their relationship with Heaven should be one of a continuous communication of Love. The apparitions of Fatima are over 85 years old now, but for those of us who look to our faith for direction, the story of those apparitions still hold many answers. Many of these are fresh blossoms from these seeds planted by the Virgin Mary almost a century ago. In the midst of the darkness of the first world war, the Virgin Mary appeared in a vision before three little children, and gave them a message of hope. Peace, she said to them, could be in reach for the entire world. War, she said, and hunger, were but temporary suffering we could overcome by seeking God’s will by consecrating ourselves to the Immaculate Heart of Mary. In the years since World War One, millions of Christians have heard this message and sought to bring it into a wider world. It is a message with power and poignancy, even for those who have lost their faith, or have begun to doubt it. Simply put, it tells us that a better world is within our reach, that all the trauma and suffering of modernity is avoidable, even unnecessary. The apparitions of Fatima came as Russia slipped deeper into a revolution which would kill the tzars and ultimately bring the darkness of religious and economic oppression to all corners of the globe, even to my own homeland where my beloved grandfather the Emperor Haile Selassie, who visited this wonderful land in August of 1959 met his untimely death at the hands of revolutionaries. The request for the consecration of Russia carried out by the Pope and the Catholic Bishops in 1984, lifted the atheist soviet oppression in Russia so that it might one day return to the path of faith, this message and appeal to consecration applies in truth to all people. The specter of famine and disease which once again threatens Ethiopia can be a serious challenge indeed to faith in a merciful God, and prayers are necessary to strengthen us all and to avoid a great tragedy. Whatever our work may be, whatever our calling in life, we must always remember to seek balance in all that we do. We must remember that good works and charity can feed both body and soul. And we must also remember that such nourishment can come from many different places, from the tables and the hearts of men and women all around the world. I believe that Our Lady’s intervention at Fatima was not solely for Catholics but for all mankind irregardless of religious creed, race, rank or political party who should be open to this gift from God. I believe this to be true. The road to peace, and the road to faith, is a road open to the entire world’s community of churches, the entire world’s collection of beliefs. Indeed, this road will only get us to our destination if all of us travel it together in Peace and harmony. I am grateful for the opportunity to speak to you here today, and yet humbled as well by the immensity of God’s presence felt in His mother’s house. Truly, in a place such as this, it is more fitting to listen, and more fitting to pray. As I learn about this country and its people, and as I learn more about Fatima and its visions, I grow full of hope in our future, and our own progress as pilgrims on the road to peace. I ask for your prayers, for Ethiopia and especially its children, and I ask for your help in bringing the message of Fatima to all the peoples of the world. 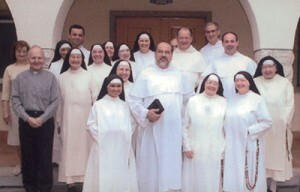 During his canonical visitation of the Province of Portugal, Fr. Carlos Azpiroz Costa, OP Master General of the Dominican Order, came to celebrate Holy Mass in our Chapel. Concelebrating with Father Carlos was Fr. Pedro Luis Gonzalez, OP, Socius for the Iberian Peninsula, Fr. Anthony McMullan, OP, Vicar of our Monastery and many of our Dominican Fathers. During his homily, in which Father kindly remembered his Portuguese, Spanish and English speaking listeners, he recalled the words of Jesus: “Where your treasure is, there is your heart.” (Mt 6:21). After Holy Mass, he and the other Brethren entered the enclosure to join the community for breakfast.His visit concluded with the renewal of our Consecration to the Immaculate Heart of Mary in the choir. Fr. Carlos had the opportunity to be present the evening before in the Cova da Iria for the Rosary and candlelight procession in honor of Our Lady of Fatima. We continue to assure Father Master of our support and prayers for his mission as humble successor of our holy Father St. Dominic. On the Solemnity of the most Holy Rosary 7th October, our dear Sister M. Diane celebrated 50 years of religious life. It was a bright, crisp sunny autumn day made especially more joyful in this Year of the Rosary. Mass of Thanksgiving was offered in Portuguese with Father Miguel Santos, our Provincial, presiding, with numerous other Dominican Fathers and our two faithful Confessors, Fr. Villanova and Fr. Francis. Sister M. Diane, originally from Co. Wexford (Ireland), entered the Rome Monastery and was sent as a Novice to the Fatima Foundation. Sister has watched Fatima grow in these years from a small rural town to a thriving pilgrim city. 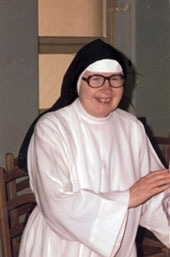 In 1976, assisted by other members of the Community, Sister translated the memoirs of Sister Lucia into English. With this, the story of the Apparitions of Fatima as recorded by Sister Lucia herself, could now be read by the entire English speaking world. For Sister’s family and many other Irish pilgrims who were not able to be here for the celebration on the 7th, Holy Mass was offered in our Chapel on the 11th October by Fr. 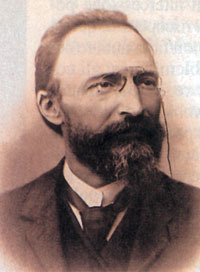 Thomas Doyle, Parish Priest from Wexford and faithful friend of Fatima. And thus the graces of the Jubilee were renewed for Sr. M. Diane and our Community. After this beautiful celebration we look forward to June 2004 when we will mark the Golden Jubilee of our Fatima Foundation. Please join us in prayer as we prepare for this very special occasion. Fra Vincenzo Rosario M. Avvinti, 23 year old Dominican Novice in Palermo (Sicily) recently spoke on the theme: MARY In My Life. May the grace and peace of Our Lord Jesus Christ be with you and all your loved ones! We have just concluded the magnificent Year of the Rosary. With grateful hearts we pause in wonder at such a GIFT! The saving power of the Rosary begins in the awesome humility of our God. It is a prayer of remembering what our loving Father has done for us by sending His only Son, Prince of Peace, into our world to “become like us in all things but sin”. What sublime humility when Humility Divine became Incarnate in the Virgin Mary. JESUS is preoccupied with the Father’s will, in other words, His mission – the purpose for which He was sent. He came to lift us up; to restore each one to the light and grace of the Father. As a young boy He said to his Parents: “I must be about My Father’s affairs.” Later on, in various ways, He repeated: “Behold, I come to do Your Will.” “My food is to do the will of My Father.” And again “Whoever does the will of My Father is My mother, my brother, my sister.” The Son of God was concerned only with the Will of His Father, as His brothers and sisters we too must be. To begin, God wills that all of His children acknowledge Him and communicate with Him. This communication with God, whether verbally or in the silence of our heart, is called prayer and fulfills that fundamental and universal will of God for all of us. In the prayer of the Rosary “Mary constantly sets before the faithful the “mysteries” of her Son, with the desire that the contemplation of those mysteries will release all their saving power.” (RVM no.11) How our proud and arrogant world needs to experience the saving power of Christ. In each mystery we contemplate the humble submission of the Son to the Will of His Father. And, in the end, we see the glorious triumph of that same Divine Humility. May this special Year now ended be for each of us a new beginning as we strive to continue to live in the Light of the Rosary. PS. We are happy to say that many new members have been added to the Perpetual Rosary Association in this year.